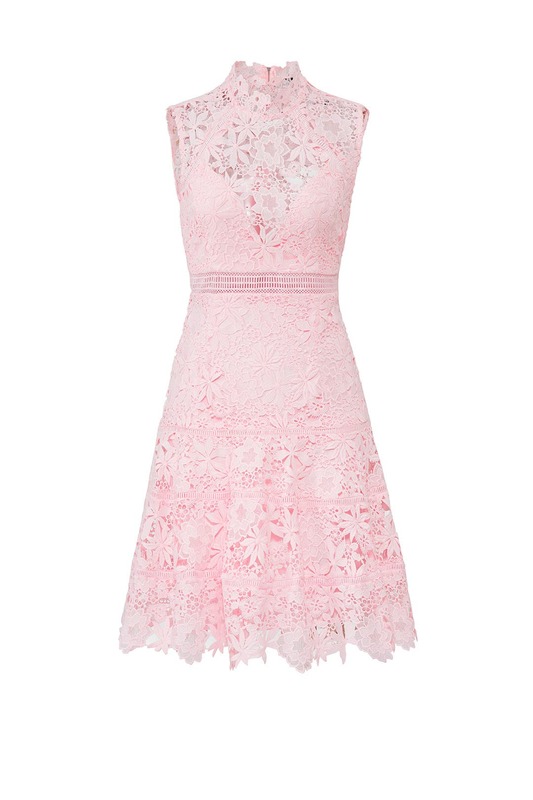 Airy, open lace and laddered trim lend sheer charm to this delightfully feminine BARDOT dress. 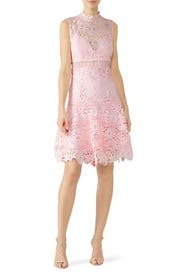 Pink lace (100% Polyester). Hourglass. Sleeveless. High neckline. Exposed back zipper closure. Fully lined. 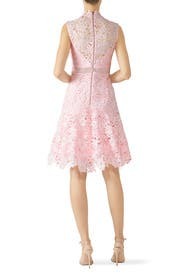 39.5" from shoulder to hemline. Imported. Beautiful dress! The color is amazing and the materia feels expensive. Wore it to a dinner party. Pretty color but didn't love the design. The fabric was a bit rough and itchy and it looked cheap. Rented it for a cocktail attire event and ended up wearing something else. My hubby said it looked like a Quincinera dress.